Stoked by the rapid growth of legal markets, investment in compelling cannabis companies has grown increasingly competitive with convergence of private equity and public markets capital. Never has it been more crucial forcompanies to understand the investment environment and how associated factors, such as reporting requirements, and strategic synergies can impact a company’s operations and growth trajectory. Our panel of leading private and public fund CEOs will provide an updated investor landscape and delve beyond simple dollar amounts in assessing the impact of taking in capital via different investment vehicles. The international cannabis market is full of high-risk investment opportunities, both public and private. Businesses across the space are faced with a host of issues including product contamination and efficacy issues, international commerce import/export regulation liabilities, political and regulatory volatility, operational compliance issues, and unqualified operators. This session will walk you through public and private international cannabis investment strategies and show you how to thoroughly vet opportunities while reducing risk. 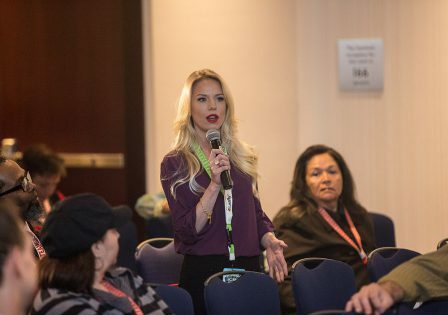 Attendees will gain keen, actionable insight into global cannabis markets. 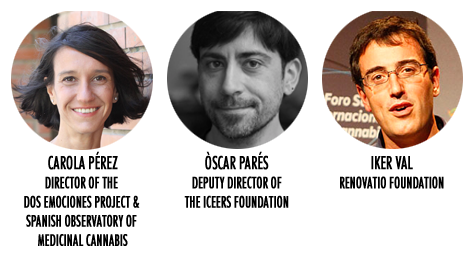 Unique cannabis cultures like Spain’s have led to a proliferation of cannabis social clubs and this panel will provide an overview of the landscape in Spain and across Europe. The pros and cons of the social club model will be compared to Amsterdam coffeeshops and the dispensaries and retail stores seen in Canada and the United States. Whether these clubs could be a model for other European countries, the potential need for testing, and how the social model could make a smooth transition to a fully regulated market will also be addressed. Spain continues to power forward as one of the most dynamic cannabis markets in Europe including on the medical front. There are over 120,000 patients in the country, and that number is likely to grow as Spain considers full legalization. In the meantime, cannabis as a commercial domestic crop is being touted as a strategy to pull the country’s economy forward, with discussions underway to protect production for domestic companies. Learn about the dynamic medical market that is flourishing and may yet become Europe’s largest producer if not early recreational legal market. As CBD continues to take the world by storm, a number of enterprising companies are working to meet the rapidly increasing demand. Whether its derived from cannabis or hemp, full spectrum or isolates, the form factors, formulations, product innovations, market trends and consumer preferences are evolving at lightning speed. How are entrepreneurs adapting to this rapid pace while dealing with challenges such as the complex and ever-changing global regulatory environments, competition from big pharma, and their own ability to scale? 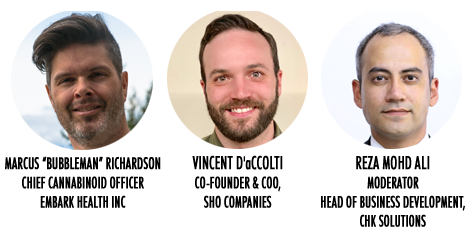 This panel of experts will discuss the many challenges, opportunities and trends in CBD consumption ranging from nano-emulsions to CBD-rich hemp pre-rolled joints now gaining traction as a tobacco alternative for smoking cessation. While cannabis flower will alwvays remain popular, there is a growing demand for cannabis extracts (and concentrates). These new products are often extremely potent with high levels of THC, but don’t necessarily need to be, as they can be designed to fit the needs of patients and consumers. This panel will discuss the current state of the extracts market, various extraction techniques, and what the future holds for this growing sector of the market. The youngest son of Reggae legend Bob Marley, Damian “Jr. Gong” Marley has carried on the musical and activist tradition of his father while also forging his own interesting path, working with unique talents such as Nas, Jay-Z, Skrillex and Mick Jagger, to name a few. Damian garnered his own place in music history when he became the first ever Reggae artist to win a GRAMMY outside of the “Reggae” category, taking home two GRAMMYs for “Best Urban/Alternative Album” and “Best Reggae Album” for Welcome To Jamrock. 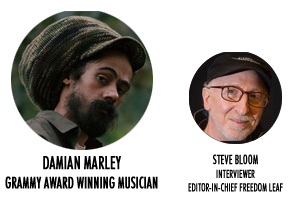 His most recent release, Stony Hill also won a GRAMMY for “Best Reggae Album” and he continues to tour internationally in support of his critically acclaimed release. Damian will be discussing his long, distinguished musical career, his father’s amazing legacy, as well as his interests in the cannabis legalization movement and industry.